SEBRING (AUS) (Chestnut 2005-Stud 2009). 5 wins at 2, STC Golden Slipper S., Gr.1. Sire of 593 rnrs, 373 wnrs, 36 SW, inc. Dissident (ATC Randwick Guineas, Gr.1), Criterion, Egg Tart, Lucky Bubbles, Bring Me the Maid, Gold Standard, Seaburge, She Brings Joy, Catch a Fire, Hattori Hanzo - Let Us Win (H.K. ), Believe Yourself, Ulmann, Thurlow, Art Series, Broadband, Acatour - Great Honour (H.K. ), Turbo Miss, Clifton Red, Supido, Kiss a Rose, etc. Deer Mountain (f. by Street Cry). 2 wins at 1200m, 1400m to 2017-18, GCTC Skypoint Observation Deck H., 2d GCTC Aquis Farm H., Ipswich TC Ubet H.
Buck Bay (c. by Street Cry). Winner at 1200m in 2017-18 in Aust. DEER VALLEY (Lonhro). 5 wins. See above. Columkille. 4 wins at 1300m, 1400m, A$109,835, to 2016-17, 3d ATC Anzac Day 2YO H., More Than Ready P.
Danrho. Winner at 1200m, A$79,530, 3d BRC Goulburn Valley H.
Celero. 5 wins at 1000m in Aust. Lucky Coin. 3 wins at 1100m, 1400m to 2017, Singapore TC Kranji D S., Class 5 H., 2d Singapore TC Always Certain S., 3d Singapore TC Class 4 H., Kranji D S.
O'Jessie. Winner at 1300m in Aust. KINGSTON TOWN (Bletchingly). Aust. Horse of the Year. Champion 3YO & Older Horse in 1980 & 1981. 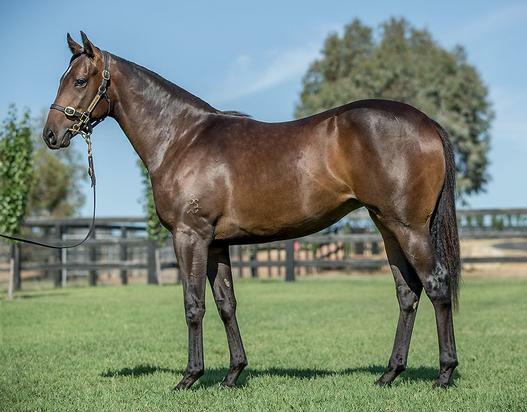 30 wins-2 at 2-from 1200m to 3200m, A$1,575,990, MVRC WS Cox P., Gr.1-3 times, STC HE Tancred S., Gr.1, AJC Derby, Gr.1, Queensland Derby, Gr.1, STC Rosehill Guineas, Gr.1, AJC Sydney Cup, Gr.1, George Main S., Gr.1-twice, Spring Champion S., Gr.1, VATC Caulfield S., Gr.1-twice, WATC Western Mail Classic, Gr.1, Sydney Turf Club Cup, Gr.2, AJC Expressway S., Gr.2, Warwick S., Gr.2-3 times, NSW Tatt's RC Chelmsford S., Gr.2-twice, QTC Grand Prix S., Gr.2, STC Peter Pan S., Gr.2, Gloaming S., Gr.2, Sydney Turf Club Cup, Gr.3, Premiere S., Gr.3, Heritage S., L, AJC Commissionaire H., STC Round Table H., Sir Ivor H., 2d VRC Melbourne Cup, Gr.1, Victoria Derby, Gr.1, VATC Caulfield S., Gr.1, VRC LKS Mackinnon S., Gr.1, STC Hill S., Gr.2, 3d VATC Caulfield Cup, Gr.1, Caulfield Guineas, Gr.1. PRIVATE THOUGHTS (Bletchingly). 4 wins from 1400m to 1800m, STC Phar Lap S., Gr.2, QTC XXXX H., L, AJC Claude Fay H., Pharamond H., 2d STC Tulloch S., Gr.2, 4th QTC Grand Prix S., Gr.2. Sire. HUNTING BOY (Claude). 7 wins from 1650m to 2200m, QTC Moreton H., L, Open H., BATC Graduation S., QTC Graduation S.
LADY ELSIE (Rainbows for Life). 2 wins at 1300m, 1400m, A$270,425, VATC Mercedes-Benz S., L, 2d MVRC Anthea Crawford S., Gr.2-twice, VATC Easter Cup, Gr.3, 3d Queensland Oaks, Gr.1, VRC AV Kewney S., Gr.2, VATC Mannerism S., Gr.3, Geelong Cup, L, VRC Vanity S., L, 4th AJC Australian Oaks, Gr.1, VATC Memsie S., Gr.2. Producer. OUR BOY MALACHI (Top Echelon). 19 wins-1 at 2-to 1300m, A$946,400, to 2016-17, ATC Expressway S., Gr.2, MRC Caulfield Sprint H., Gr.2, ATC Hall Mark S., Gr.3, Starlight S., L, Razor Sharp H., L, Turner Freeman Lawyers Flying H., BRC Greenslopes Emergency H., Rockhampton JC XXXX Gold Newmarket H.-twice, 2d ATC Premiere S., Gr.2, 3d BRC BTC Cup, Gr.1, 4th ATC TJ Smith S., Gr.1.